Hallgrimur Vilhjalmsson was born in 1976 in Reykjavik. He studied in Helsinki, Cologne and Sao Paulo. In Cologne, he met Karlheinz Stockhausen and took part in master classes by Maurizio Kagel. Vilhjalmsson is strongly influenced by modern popular music, especially punk. His works reflect the unfractured, unrestrained features of his native country – together with all the characteristic reservedness of a Scandinavian. His works can "bring to life emotions of an all-embracing power within our daily experiences, without any mythical fuss" (F. Klopotek), being therefore quite solitary among contemporary music composers. For Kenneth Goldsmith, the "Serenade For Six German Police Sirens" is "an update on Futurist and Russian Constructivist themes. It's like Terry Riley meets Alexander Mossolov's 'Iron Foundry'". And for Marc Weidenbaum "Vilhjalmsson's playful settings and use of stereo to exaggerate contrasts is highly pleasurable. When the sonic aggression of such sirens is diminished by space – that is, when civil-service sounds are rendered civil – what's revealed is a taut melodic cycle, an inherently minimalist patterning that is immediately comparable to the compositional stuff of Philip Glass and Steve Reich". 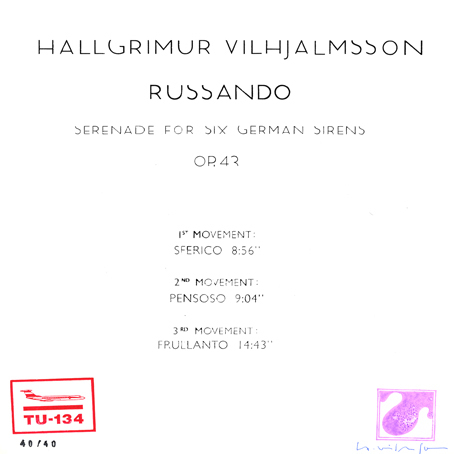 "russando – Serenade for six german sirens op. 43" was composed by Vilhjalmsson for the "cologne contemporary international art biennale 08" in 2008. "russando" is the first release on vinyl by Hallgrimur Vilhjalmsson. 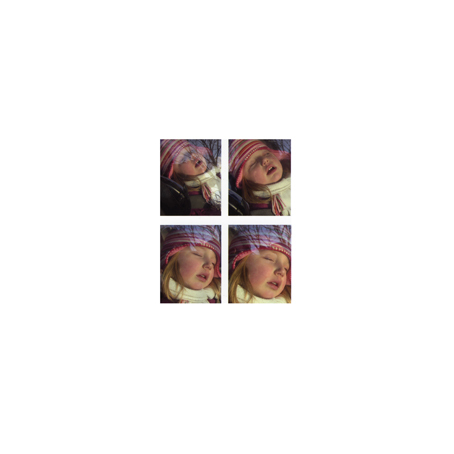 It is a limited, signed and numbered edition of 40 copies. The original tapes of the premiere in Ruedesheim/Germany were carefully mastered by Holger Brochhaus. The front cover has an original photograph by german artist Georg Joachim Schmitt. "russando" is a high-quality vinyl pressing made in Germany.